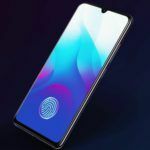 The handset could be an entry-level device like Vivo Y81i and Vivo Y71i which were launched in the previous month. After getting approved by the EEC and NBTC certification agencies, Vivo’s upcoming Y91i smartphone has now been caught on the Geekbench benchmark database. The Vivo 1816 listing on Geekbench reveals the device will be an entry-level offering running on a MediaTek processor. 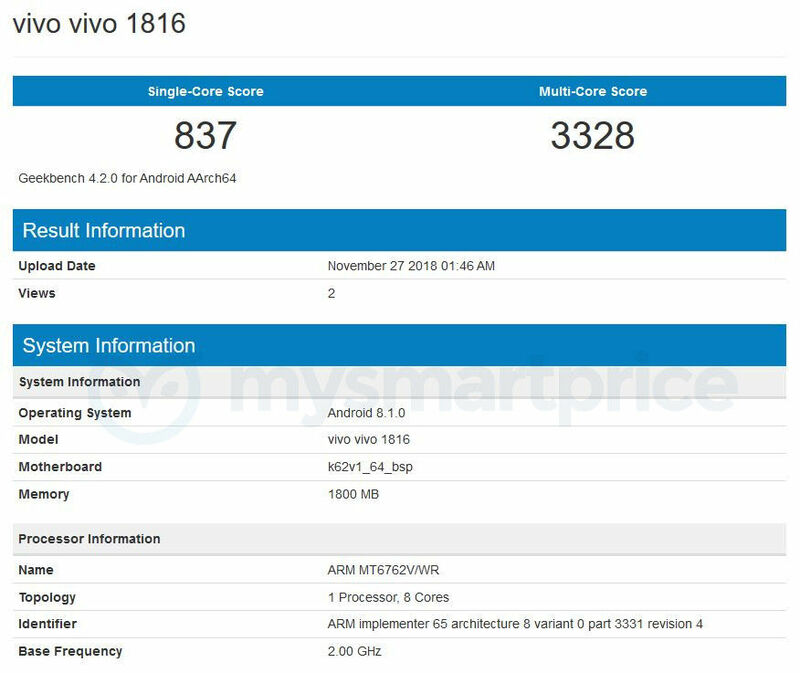 The Vivo 1816 Geekbench listing tells us the smartphone will be running on a MediaTek MT6762 Helio P22 octa-core processor clocked at 2.0 GHz. Recent reports, however, have suggested the smartphone will run on a Qualcomm Snapdragon 439 chipset. 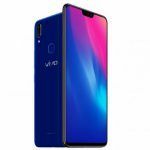 In the memory department, Vivo Y91i will come equipped with 2GB of RAM. Of course, there is a possibility of the smartphone being offered in other memory configurations as well. The smartphone managed to achieve 837 points in the single-core test and 3,328 points in the multi-core test. As expected, the Vivo smartphone is currently being tested on the Android 8.1 Oreo operating system. A number of Vivo devices with model numbers 1814, Vivo 1815 and Vivo 1816 got approved at the Eurasian Economic Commission authority earlier last month. The latter of the three has now been spotted on Thailand’s NBTC certification portal. While both these certifications reveal very little about the device identity itself, it appears that it is getting closer to launch. However, only when it appears on China’s TENAA, will there be any authentic information surrounding the actual identity of the device. Apart from Vivo 1816, Vivo 1807, Vivo 1811 and Vivo 1812 phones were also certified back in August at the EEC. It is worth noting that a similarly Vivo phones with model number V1816A/T were approved at the MIIT in China. While there is no evidence that the model on NBTC and MIIT are the same model, there is a considerable similarity in the naming sequence. The same model appeared on 3C China and the certification revealed support for 5V/2A (10W) charging. This hints that the device is probably a mid-range device which Vivo could launch in the Y series. 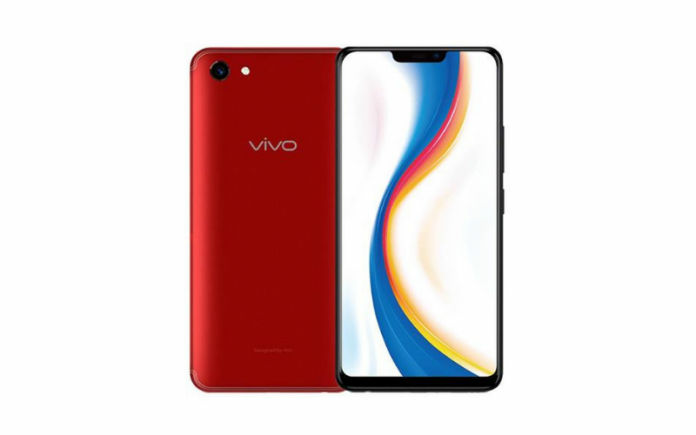 Our assumption is that the handset is the Vivo Y91i. 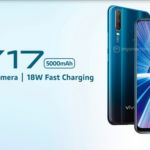 Vivo recently released the Vivo Y81i in November and a similar model Vivo Y71i in the previous month. 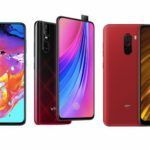 The handset is an entry-level device that rocks a 6.22-inch HD+ panel and has a notch with an 83 percent screen-to-body ratio. The display is protected by Corning Gorilla Glass. It has a polycarbonate construction and comes in Black and Red shades. Under the hood, it rocks the quad-core 2.0 GHz MediaTek MT6761 Helio A22 (12 nm) chipset. It has 2GB of RAM and 16GB of internal storage which is expandable up to 256GB via MicroSD. As for optics, the Vivo Y81i has a 13 MP, f/2.2 aperture rear camera and a basic 5MP selfie shooter. There’s a 3260mAh battery that powers Android 8.1 Oreo out-of-the-box. In comparison, the Vivo Y71i is a slightly higher-specced model was launched recently and is available in India. 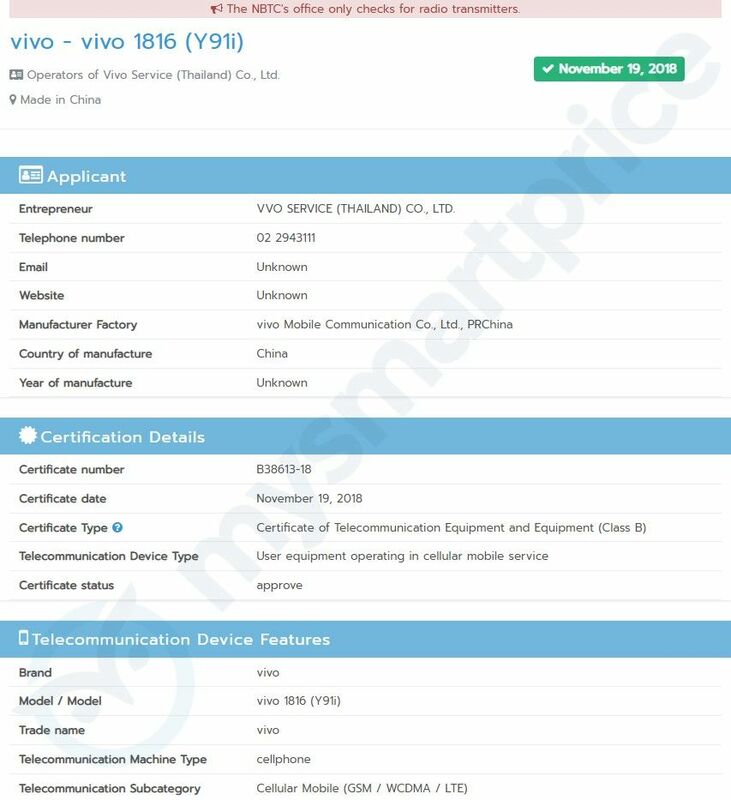 Hopefully, we will see the Vivo Y91i handset appear on more certifications that will eventually reveal more information about the handset.